Great Mother's Day, graduation, teacher, housewarming, thank you or birthday gift. 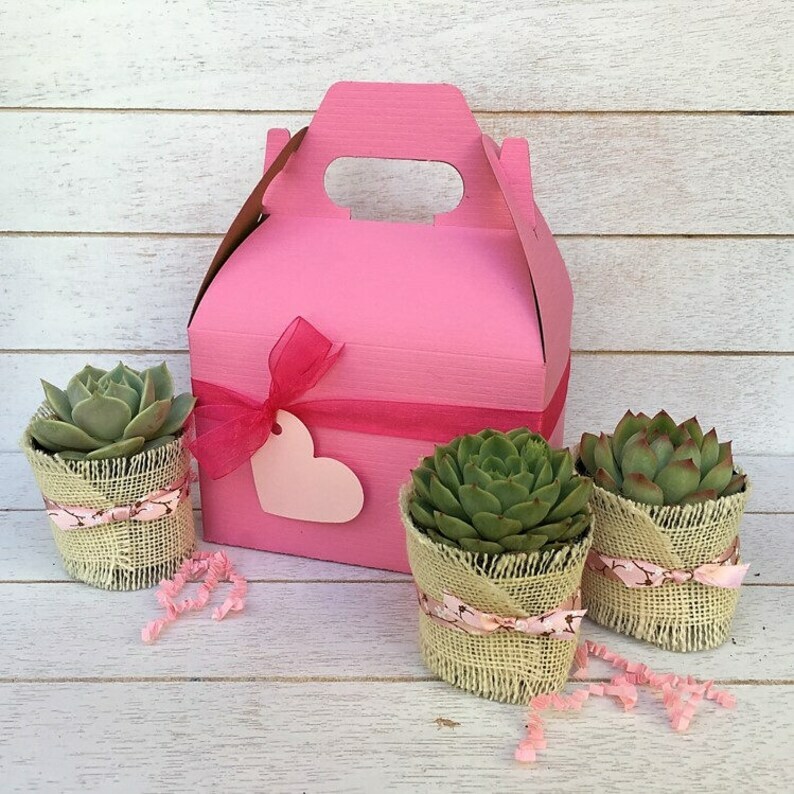 - Three (3) high quality rooted succulents (may vary from to the ones shown, but always beautiful) wrapped in ivory burlap, tied with light pink patterned ribbon. Succulents are approx 2-2.5" each. 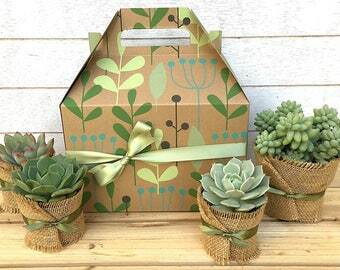 - Succulents are gift wrapped in a pink or Kraft gable style gift box and wrapped with pink ribbon. 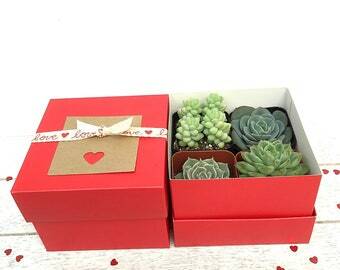 Gift box is approx. 6"x4"x4" (LxWxH) height including handle is approx 7.5"
- Includes a small gift card - let us know what to write on the card for you! Very sweet packaging for my mom! A lovely gift, thanks!